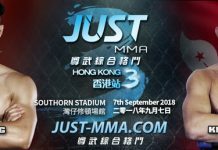 The main event of “JUST MMA Hong Kong 3” will see Cao Zheng and Kenny Yeung go head to head in front of the Hong Kong crowd! 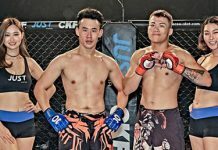 With an outstanding record of 6 wins and 1 loss, the well rounded Chinese rising star Cao Zheng came off from a hard fought decision lost at the last JUST MMA, and is now ready to return to the cage once again. Standing across the cage will be Hong Kong’s own Kenny Yeung. 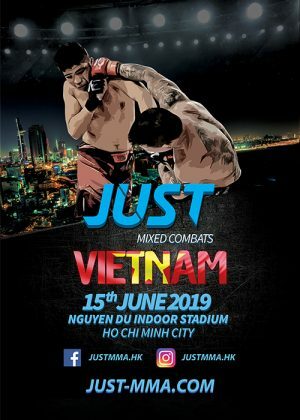 One of Hong Kong’s longest active professional Mixed Martial Artists, Kenny Yeung has been adding some serious ground fighting techniques on top of fierce striking skills. This featherweight showdown between two is the match that Hong Kong fight fans shouldn’t miss!